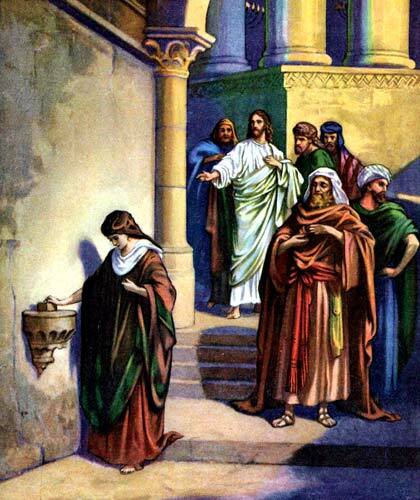 Today I am preaching on Mark 12:41-44 ~ “The Widow’s Offering”. It is a story that always hits close to home as it challenges me how I give back to God. It is so easy to focus on budgets and worry about income and bills; so much so, that we often times cut back on our giving in order to get by. But what if we actually believed that everything we have belongs to God (which it does). How would that direct our giving? You see…giving is a matter of faith. Do you actually believe that God will provide for you? If you don’t then you don’t have much motivation to give. If you DO believe God provides for your needs then faith tells us that in order for God to provide for others God needs us to provide for them. God blesses us so we may bless others. The offering is not just part of the worship service, it IS an act of worship. May you know God’s blessings so you may bless others with the love of God. all that we have is thine alone, a trust, O Lord, from thee. and gladly, as thou blessest us, to thee our first-fruits give. to teach the way of life and peace — it is a Christ-like thing. whatever we do for thine, O Lord, we do it unto thee.